1. New Color Schemes: I have added 2 new color schemes, including Brown and Monochrome. 2. Theme Options Page: I also updated the theme options page with an improved design. 1. Dropdown Menus: Multi-tier dropdown support added for categories. 1. 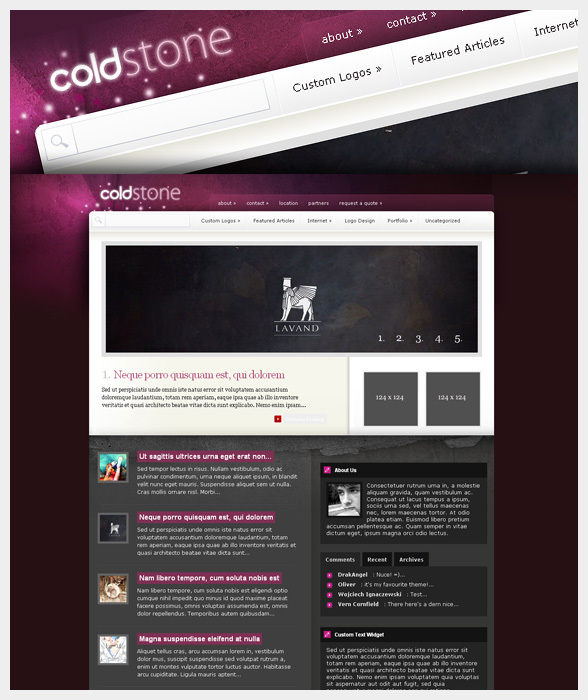 New Skins: I have added three new skins to ColdStone. The first one is ColdStone Nature. I went a little crazy with this design as you can tell, but I had a lot of fun and I am sure someone can find a use for it! The second skin is ColdStone Glow, and is based off an upcoming theme I am working on. I have been so busy with theme updates that I have not been able to complete the theme, so I decided to throw this in there while Glow is still in development. The third skin is ColdtStone Grunge. I felt the urge to make something similar to the default ColdStone skin, but with a lighter background. Thanks to Mike Martinez for the great Photoshop brushes. 1. Dropdown Menu Support: I have added dropdown menus to the pages navigation menu. I have also updates both menus with muli-tier dropdown support. 1. 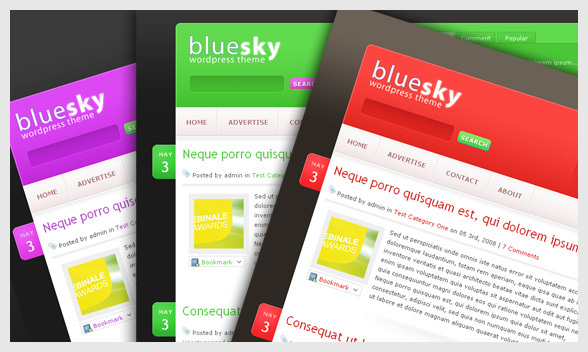 Three New Color Schemes: I have added 3 new color schemes to Bluesky, including Red, Green and Purple. These color variations are managed via the Theme Options page, and can be changed at any time. 2. Improved Theme Options Page: I have add a theme options page to handle the color schemes, as well as a few other things. This should help give users more control over their blog. 3. Optional Blog-style Post Layout: If you don’t want to automatically truncate your post previews you can now opt for the Blog-style post layout, which will display all posts in full on the index page. 4. Automatic Thumbnail Resizing: Bluesky now utilizes timthumb to resize all thumbnail images automatically. I also wanted to mention that I have done some preliminary work on a new simplistic image-free design, which has been a common request from users. It is called Pure Type, and will feature a fast loading css-based layout in a style reminiscent of my earlier works (such as ArtSee), something from which I have recently strayed but am eager to revisit. This is only an idea and could change drastically, but I know some of you like to catch a glimpse of what is to come so here is a basic sketch. You really are doing yourself an injustice at 19 bucks for all of this. You’re probably offering over 50 themes at this point for just 20 dollars. As a customer, I cant complain. But as a fellow designer, you deserve more! how do i get this reply system? I’m also looking forward for the pure type theme, hope it won’t take that long 🙂 It looks awesome. 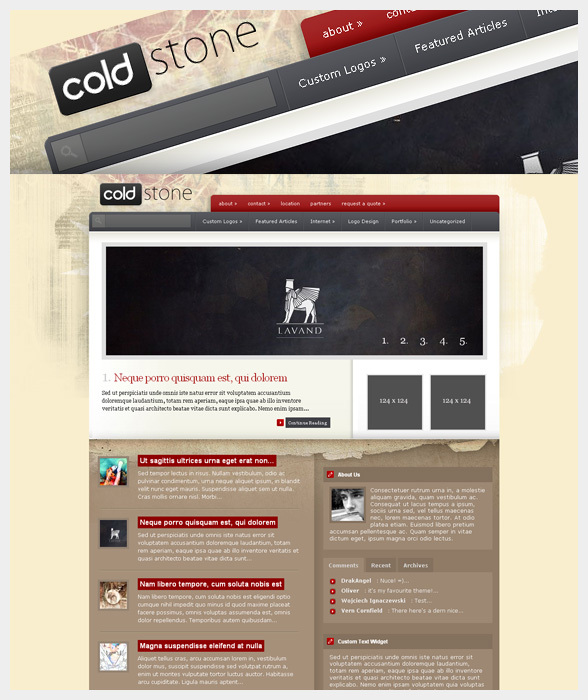 New modifications of Coldstone Theme are really amazing! 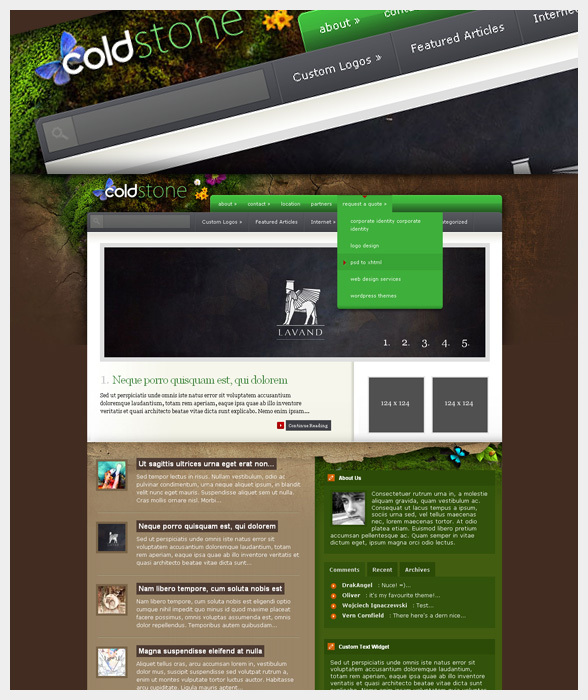 Great themes love the Coldstone Nature! Oh well, appearances are a genius really and not for nothing I payed these 19 dollars, from it very much however I am satisfied is one large and severe error who firmly is irritating me at your work. That is it is admittedly, that your appearances are fitted only to the English. Straight out I would be enraptured if you entered MO and PO files into your appearances and after (linguistic files), whom everyone in the sequence of a dozen or so minutes could make the language version for himself thanks to. It would spare users the time, because at your frequent updates heavily anew every files are being done in their language. $19 is a small amount to pay for such a broad variety of high quality themes. I think you are asking for too much…. Creating MO and PO files, it is max two days of work. Whereas using them can bring about in big profits – everyone without the problem could for himself make the own language version, without worry about that he will be he had to convert language in files again, when a latest version of the appearance enters. Then if it’s a MAX of two days work, do it yourself. You seem to know english enough to partially make sense so it shouldn’t be too hard. Ps: a pleasure to edit/manipulate your theme, well-structured code. Rarely seen these days. Nice to see you have went with the image-less free layout. I like the concept. Cant wait for it to be released. Good work, keep it up bro. Wow Nick, I honestly don’t think I’ve ever seen a wordpress theme look so good without images! Kudos to you bro, and more kudos go to you for the crazy Coldstone update! Were you planning to have the Featured section with a slider/scroller option… … or are you planning to have it as more of a static page? I am not sure to be honest. I am probably leaning towards no scroller, but there is always the possibility of adding it as an optional setting. Just a quick comment to say, would LOVE the option setting for a Feature scroller for the ColdStone. Look great! thanks for the updates. Will there be one for evid template????? Wonderful work and new theme will surely be a success. How do I update my themes? Will I have to redo all customizations I’ve done?? Yes you will have to re-do the customizations. It looks like you are using WhosWho, in this case the only files you need to re-upload are all .css files and header.php. Great work again! Hopefuly the glow theme will be finished in a couple of days, i am going to use that theme for my new blog! Thanks for the good work! I just wanted to say that this is the first an only template server I have ever been motivated to subscribe to. Great job and keep up the good work. For all your work, I hope you get at least 5,000 members/year to make at least $100,000 a year! Thanks for updates. But bluesky have problems with IE. 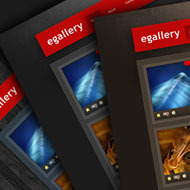 You can see in your gallery page. I fixed the problem, thanks. Seriously, the updates are great. $20 is a scarily low price for all the great themes you are releasing. I really LOVE the nature theme, and am glad you enjoyed doing it. Anyway, looking forward to both Glow and Puretype. They are looking great so far. Great stuff. Looking forward to the type based theme too! Would love to see some changes there as well!! Love your work…. especially like the added skins of coldstone and looking forward to Glow and puretype. Just to be a little cheeky is there any chance you could do a multi skinned business (hosting, Internet management) theme, low on graphics but with plenty of image space and module areas, very fast loading. Your fantastic. 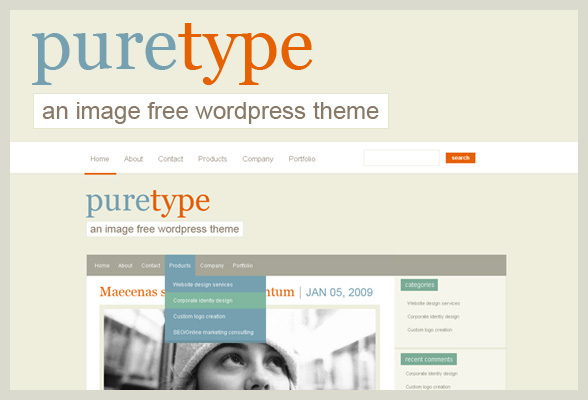 Nick, when the “Pure Type” template release ? I can’t hardly wait. I should be releasing it within a couple days, discounting any unforeseen delays. keep up the good work nick. grade a stuff. really looking forward to pure type for a personal site & blog. Looks like spring is comming to ElegantThemes :D. I wonder why there is no blue version of coldstone, at least dark blue. I also wonder why themes are not called redsky, greensky and PINK? sky. That’s hardly purple. At least on my monitor. But, then again, I’m probably the only one who likes Coldstone Glow more than anyone else. Eagerly awaiting yet another awesome theme! I will certainly not “froget” to stop by the forum if I have any requests! Good stuff, Your skills are Sweet! I’m hearing utter silence for some time already, any updates? I have been working mostly on PureType. In fact, you can probably expect to see this theme released within a few days. I’m using Evid…is there any plan to do an update? I love your work. Trying to “join” to gain access to themes. I would like to use Cion, however I’m unsure about one thing. I have a free WP account. Will your themes work for them as well as the WP.org accounts? No, I don’t think free wordpress.com accounts let you upload themes, though I could be wrong. Hopefully, I can figure out the process for hooking up my WP to another server to go for my own domain. Your Cion theme really captures what I would like to do in showcasing my creative writing style and even showing off my portfolio. 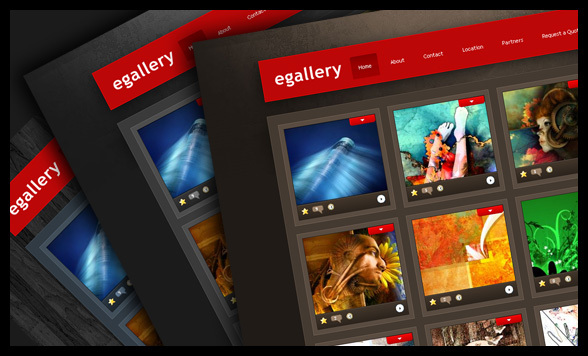 I have been tempted to purchase other theme subscriptions before but balked at the high prices. What you are offering is simply stunning AND affordable… and you definitely convinced me to buy from you with no regrets. You need to set up your Featured Articles category, as explained in the readme. In the future please use the support forum for support issues. The PureType theme nails the font sizes really well — keep working with readable fonts which, fortunately, aren’t too small to read. Many thanks for publishing PureType, perhaps your best theme to date (which I proudly adopted). How do I get the new cold stone skins? You can choose your skin from the “Appearances >> Current Theme Options” page in wp-admin. These are great! I personally like the ColdStone Nature 🙂 good job! I’m in the process of setting up my blog installation service, the addition of providing themes to my customers is awesome! Oh before I jump ahead of myself and sign up, I am able to pass on these themes to my customers right? or are they for personal use only? These are great themes and at $19.95 per year my customers will have no problem apreciating the value they will be getting by taking up your membership offer. Thanks for making this posible. Agree that you are providing incredible service at an incredible price! I will definitely keep my subscription with you and look forwards to more great themes. Keep up the great work. Hi, your design are awesome! How much if I am going to buy out one of your template? What is SEO and does this mean I need to get a new version of these themes? You’re probably offering over 50 themes at this point for just 20 dollars. As a customer, I cant complain. But as a fellow designer, you deserve more! . I need to get a new version of these themes? I was checking out some of these older blog posts…It’s impressive how much your themes have improved over time. Keep up the awesome work!